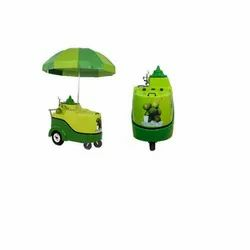 Pioneers in the industry, we offer sugarcane juice cart and coconut vending cart from India. Our Sugarcane Juice Vending Cart is the most Efficient, Safe, Hygienic and Reliable product in the market which has garnered appreciation from hundreds of satisfied users. We have clients ranging from Engineering Medical Colleges, Hospitals, Caterers, Star Hotels and retail outlets using this machine and completely satisfied. Comes with a built-in chiller to store up to 70 kilograms of fresh sugarcane. Sugarcane juice is crushed in a single pass with 85% extraction. With enriched industrial experience and knowledge, we are providing an excellent range of Coconut Vending Cart. 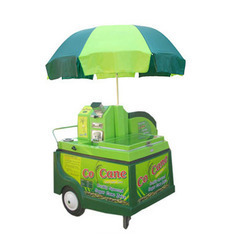 Looking for Cane Vending Cart ?